No one likes having a toothache and no one plans to have an accident involving the teeth, but as we all know, these things do happen. In her Scottsdale dental office, Dr. Marcia Blazer is committed to providing comprehensive care to her patients, whom she treats like members of her family. If you're in pain, or even if you're not sure whether you need emergency care, Dr. Blazer is always happy to speak to you and answer your questions. Together, we will figure out what treatment is appropriate to take care of your problem. An emergency is any situation that requires immediate attention, whether due to pain, swelling, or breakage of a tooth or filling. If you are experiencing any oral discomfort, it is important to seek help or advice right away from Dr. Blazer in Scottsdale. Perhaps you're not sure whether it's an emergency? Dr. Blazer can help you determine whether it's something that can be addressed at a more convenient time. 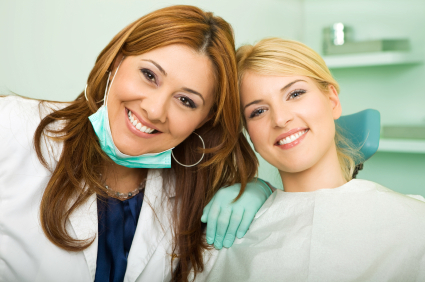 Regardless, don’t wait until the pain is unbearable; receive emergency dental treatment immediately. Any emergency dental treatment will involve finding the source of the pain. We perform a number of tests that locate the area in question and work to alleviate your pain right away. If a tooth has been knocked clean out of the mouth, for example, tissues, nerves, and blood vessels can become damaged. Seeking immediate emergency treatment allows us to place the tooth back in its socket, giving the tissues a chance to grow back and support the tooth once again. If you are experiencing a dental emergency, please don’t hesitate to contact emergency dentist in Scottsdale, AZ Dr. Marcia Blazer. Her home and cell phone number are listed on our office recording for a reason – she is there to help out when needed. While our office has regular hours, we know that emergencies do happen after hours. Contact us today! "I have been using Dr. Blazer since she started her practice in Arizona 25+ years ago I have nothing but good things about Dr. Blazer. When I have a dental issue, she always is able to see me within a timely manner. When I have had dental emergencies, she has been available on a moments notice. A few months ago I had a dental problem during the late evening. I called Dr. Blazer at home and even though she was in the middle of dinner, she stopped everything and met me at her office to care for me. Honestly, I couldn't ask for anything more. She is far and away the best I have ever dealt with. I highly recommend her to everyone."